Building will be open by 4:30 Tips and techniques. No special jigs or chucks are required, but you will need to turn waste blocks of varying diameters to which the disk blanks will be attached. Each disk will need to be trued and the diameters can range from 1” to 1 ½” to 2” (2 ½-5cm). The second set of waste blocks will be the same diameters but will be slightly concave in shape. The larger wood blanks, 2-3” (5-8cm) in diameter, should be about 3/8-1/2” (10-12mm) thick to start. 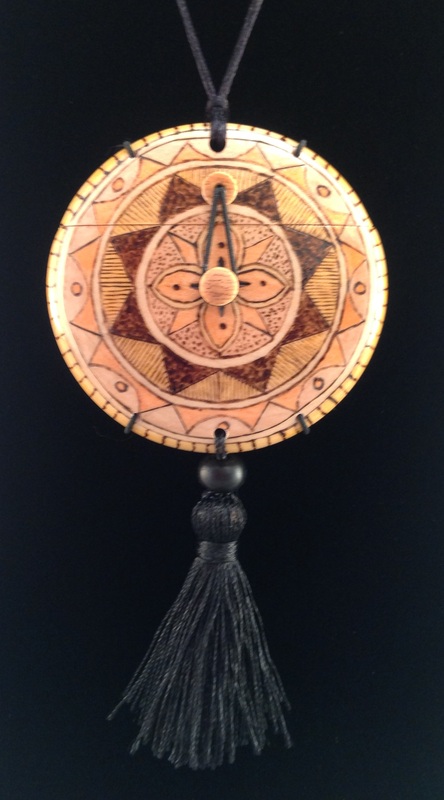 Use a compass to outline the circumference of the circle then remove most of the waste wood on a band saw. Using double sided tape (I prefer SpecTape brand as it does not leave a gummy residue on the wood), adhere the disk to a flat-sided waste block, making sure that the waste block is smaller in diameter than the finished disk. Use the tape sparingly. You may have to cut the strips in half or even thirds in order to be able to easily remove the disk. Before pressing the disk firmly into the tape, pull up the tail stock and line up the center mark from the compass with the live center. Do not allow the live center to puncture the turning disk. I place a barrel washer (or a pen bushing) between the point and the disk, then tighten the tail stock for as long as possible. Use a bowl gouge and sheer cuts to begin shaping the rounded surface of the disk. Switch to a spindle gouge to turn the slightly rounded edge of the disk which will be about half way through the original thickness. Remove the tail stock and barrel washer and use light cuts to smooth the top surface. Hand sand or lightly power sand, going through all the grits. Now remove the disk, use a center finder to mark the center of the unturned side, and mount the turned side on a concave waste block with double sided tape. This can be a trial and error process to get the disk perfectly centered. Bring up the tail stock so that the live center can aid in the centering process, and lightly press the disk into the tape. Some adjusting may be necessary. I again use the barrel washer and apply very light pressure with the tail stock. Make light sheer cuts with the bowl gouge to achieve the final shape for the back of the disk. The outer edge should be no thicker than 1/8” (2mm). You are aiming for a thin, graceful disk, not a clunky chunk of wood. Remove the tail stock and make the final light cuts. Sand through the grits and remove the disk. Apply the finish of your choice—spray lacquer, oils, or waxes and buffing. Small diameter disks are turned differently. If using a pen blank, insert the blank into a chuck with small jaws as far as it will go to help avoid vibration. Turn only the very end of the blank round using a roughing gouge or spindle gouge. Then with the spindle gouge, slightly round over the end of the blank. Since the finished disk will be between 1/8”-3/16” (2-4mm) thick, this is a quick process. Using a thin parting tool, angle the parting cut so that the back side of the disk is also somewhat rounded. Do not completely part the disk off, but leave about 3/16” (3-4mm). Hand sand the front of the disk and as much of the back as possible, going through all the grits. Round over the outside edge to remove any sharp edges. Finally, finish parting off the disk. A small tooth saw may also be used to part off the disk. Hand sand any roughness on the back of the disk and finish with your choice of finishes. When turning a large number of disks, the process can become somewhat tedious. I usually make 5-6 at a time, toss them into a small container, then turn more the next day. After turning the cross grain or the end grain disks, there is an area on the back side that must be sanded. This can be done by hand but an option that I prefer is to mount a small sanding disk in the drill press and sand the back side of the disks, going through all grits. I collect a number of disks in a small container then sand all of them at one time. Although I sometimes apply lacquer, oil or water based polyurethanes, it is often sufficient to simply use a three step buffing system on both the front and the back sides. Using a spindle gouge, turn a cylinder to the desired diameter, leaving the bulk of the blank unturned. Depending on your comfort level, use a spindle or detail gouge or a skew to shape the right hand of the bead. Then shape the left hand portion of the bead, but do not cut all the way through. Sand the bead through all grits and apply friction polish or wax. Finally, use a skew, parting tool, or small toothed saw to part off the bead. A small nub may remain. Hand sand and dab the area with friction polish or wax. A few tools are necessary to make the assembly process easier. I would recommend that anyone interested in jewelry making should spend some time in a local craft store looking at the many possibilities. At a minimum you will need two sets of small needle nose or jewelry pliers (one with smooth jaws), round nose pliers (optional), small wire cutters, jump rings (not the spiral kind), pins with flat heads for attaching the beads, necklace chain, and neck clasp. I have found that the gun metal color of chain is most complementary to the wood; silver and gold often detract from the wood’s beauty . A handy tool to have is a Dremel and Dremel drill press with bits smaller than 1/16” (1mm). Although the small holes in the disks can be hand drilled, the drill press makes the task easier. Cut two lengths of chain, one 28” (70cm) and the other 24” (60cm). The longer chain will hold the disks and the shorter chain will hold the beads. Do not attach the neck clasp at this time. Use the Dremel to drill a hole about 1/8” (2-3mm) from the edge of the feature pendant. Next, drill the holes into all the smaller disks. Depending on the thickness and density of the wood, the hole may be closer than 1/8” (2-3mm) from the edge. Using the two pairs of jewelry pliers, separate the jump rings. Do not pull the ends straight apart, but rather, push one end of the ring away while pulling the other end toward you, creating a spiral shape. Slide the open ring through the hole of the feature pendant, then slide the ring into the center link of the longer chain. Use the two sets of pliers to close the ring. 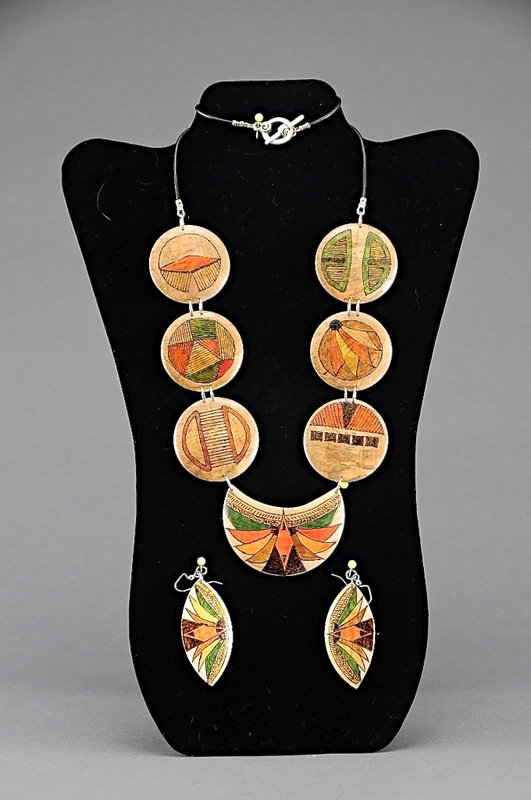 Attach all the remaining disks in the same way, mixing and matching size and color on each side of the feature pendant. To attach the beads, insert a flat head pin into the bead and remove all but 3/8” (1cm) of the wire. Use round nose pliers to shape the wire into a small loop above the bead. Open a jump ring and insert the ring through the loop, then into a link in the necklace chain. Close the jump ring. Attach beads in various sizes and colors along the chain. To dress up the beads, an assortment of metal bead separators and holders are available at local craft stores. When all disks and beads have been attached, use jump rings to connect the two upper links of chain to each end of the neck clasp. 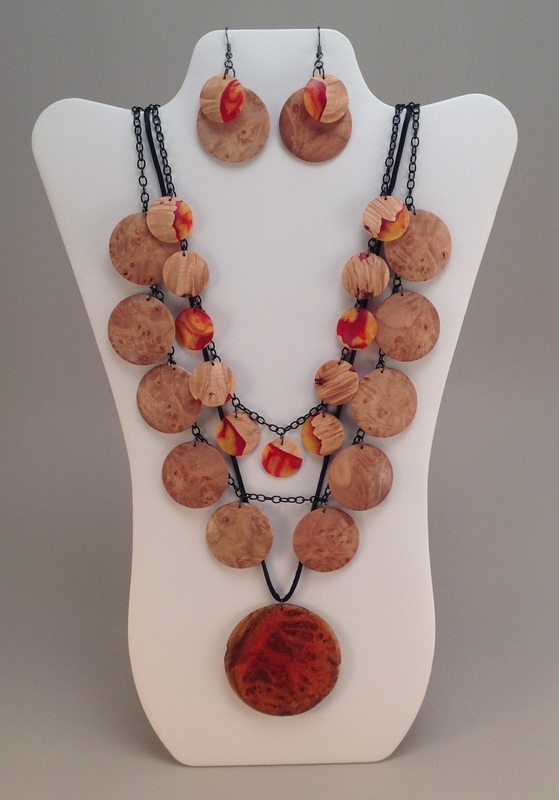 The necklace is finished, but don’t forget the earrings. Disks, beads or a combination of each can be attached to ear wires using jump rings and pins in the same way as to the necklace chain. 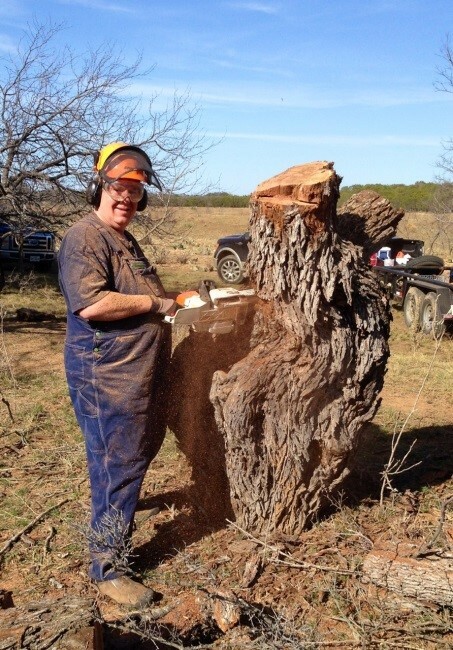 I have been a member of the Wood Turners of North Texas since 2005. I was impressed from the first meeting on the willingness of members to share technics and tips with other members. I started on a Jet Mini Lathe and quickly moved up to Nova 3000 with 16” capacity over the lathe bed. It had a 2hp, Reversible, Variable Speed motor and a swivel head. Not long after I bought it from another member I hit the reverse switch while it was going forward and twisted off the shaft. That was $600 lesson. I ended up selling the Nova to another club member and bought a Powermatic 3520B with an 18” extension. I love the Powermatic and can turn up to 20” over the Lathe Bed and 38” off the end with a face plate. 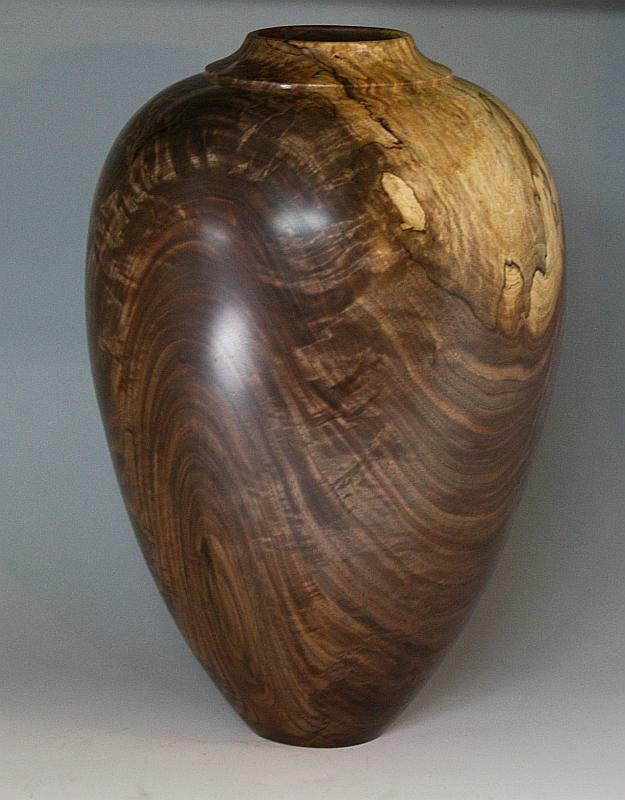 I mainly turn medium to large Mesquite vessels and bowls with natural edge but have turned many different woods, sizes and shapes. I even turn an occasional pen for friend or as a conversation piece to market my other turnings. Several years back the club had a demo on Snow Men. I thought they looked fun and starting making them in October for the Christmas season. 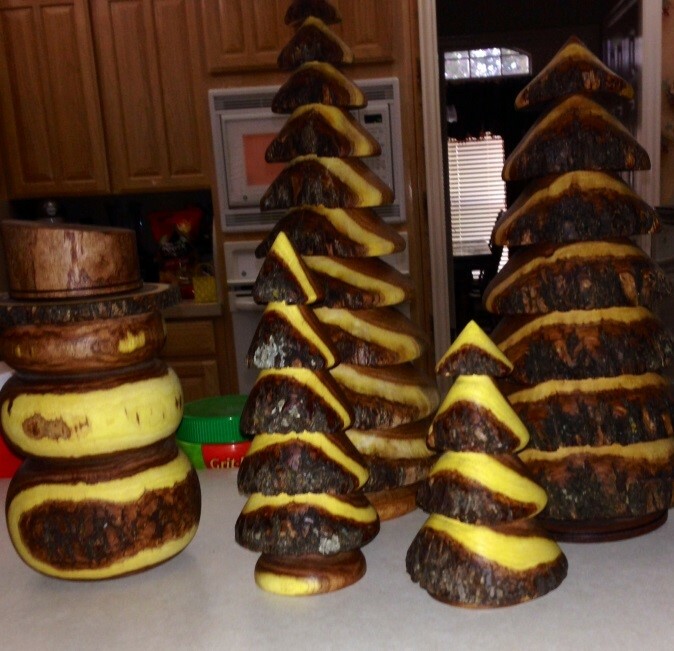 While making the Snow Men out of Mesquite I got the idea of using Mesquite to make Christmas Trees. The first ones I turned were just cone shaped turned from a log between centers. I liked the way the yellow sap ring in the wood looked like snow on the branches. After some experimenting I came up with a design which has consistent sap rings on one side of the Christmas Tree. Come out on Thursday September 25th and learn how it’s done. 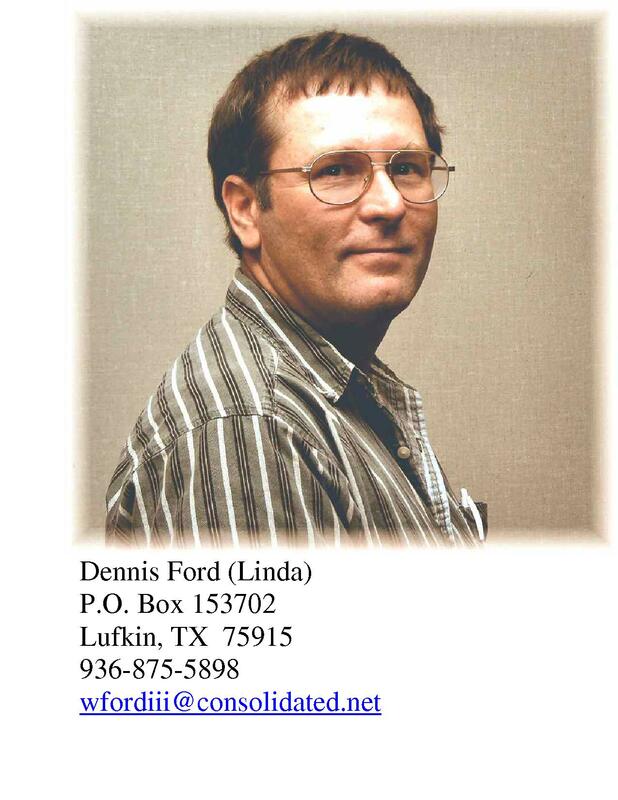 Jimmie Gill has been a wood turner and member of WNT for the past nine years. He has been under the wing of Wayne Clowers for the same time. He still tells me I am holding the tool wrong and have not figured out what finesse means. 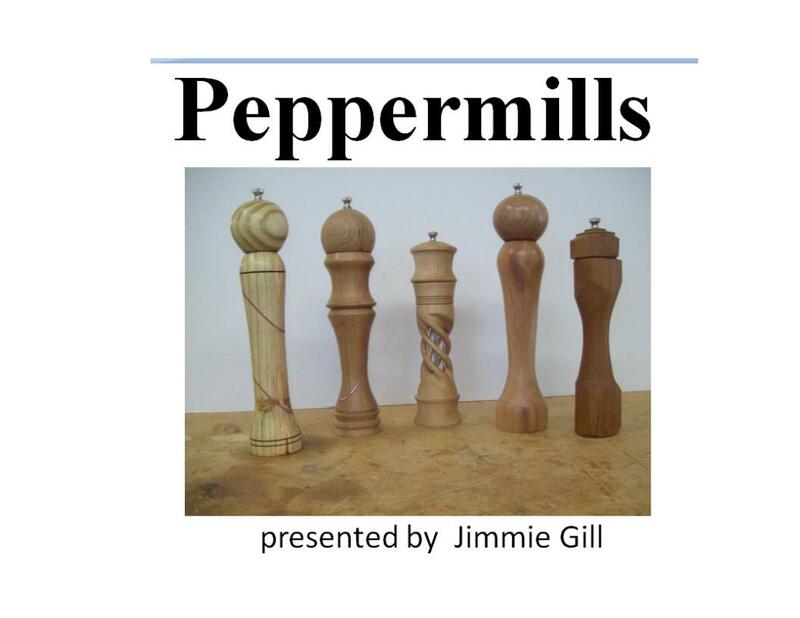 Jimmie enjoys all kinds of wood turning but likes the pepper grinders the most. I plan on doing a demo on "Hollow Form Process". This will involve mounting a blank between centers, turning a tenon and rough shape. I will put the piece in a chuck, dress up the upper outside and hollow the interior with hand held tooling. To make the process interesting to viewers (and much faster), the blank will have multiple holes drilled in it. Your camera should be able to show the tool inside the hollow form. The lower portion of the outside will be shaped after most of the hollowing is done. 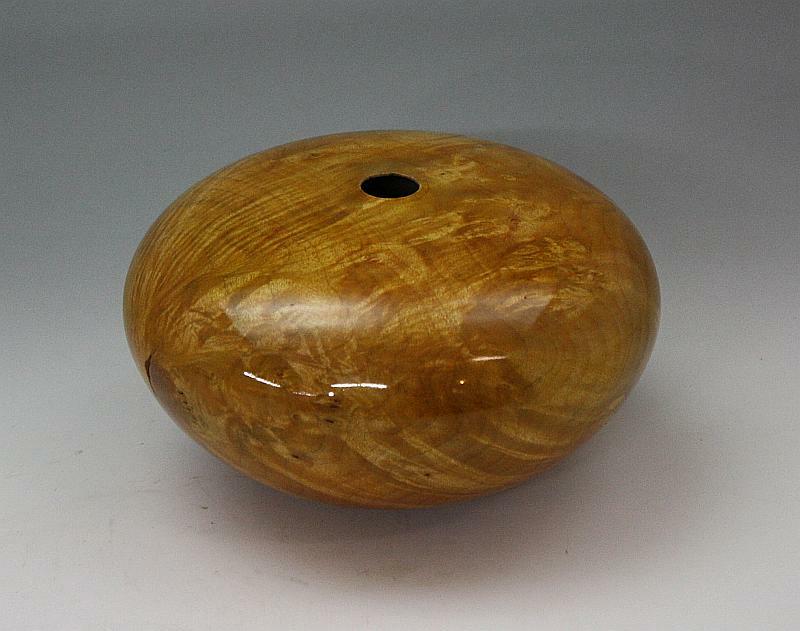 I will also bring a blank to make a finial out of in case of enough time for a quick finial.